Wonderful service and fabulous amenities. One of our rooms was very smelly and the shower was over a very high sided tub which we couldn’t use due to a knee injury but reception moved us to a cleaner room with a walk in shower. Would stay again but would request a walk in shower and take our own air fresheners just in case we got a smelly room again. Love it.!! Very clean, good condition, huge room.!! Where to find Palm Beach - West Palm Beach hotels near an airport? 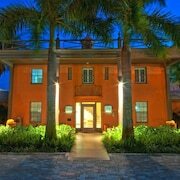 How can I find hotels in different Palm Beach - West Palm Beach neighborhoods? Where can I find hotels in Palm Beach - West Palm Beach that are near tourist attractions? If you are deciding on where to spend the night while visiting Palm Beach - West Palm Beach, there is a broad range of options to choose from. Our database shows no less than 51 places to lay your head within 0.1 kilometres (0.06 miles) of downtown Palm Beach - West Palm Beach. Finding a place close to the bright lights of inner-city Palm Beach - West Palm Beach has never been easier. Expedia's booking page lists the The Upper Level - A Hotel Alternative and Palm Beach Hibiscus Bed & Breakfast, which you'll find within a 1-kilometre (0.6-mile) radius of the city center. West Palm Beach is an accommodation area that is 1 kilometre (1 mile) from the center of Palm Beach - West Palm Beach and has 33 accommodation options. Some Expedia-listed hotels in West Palm Beach are the Casa Grandview and Marriott West Palm Beach Hotel. Another option is Jupiter. Jupiter is home to the Jupiter Beach Resort & Spa and Jupiter Waterfront Inn. Or, try Boca Raton, where you'll find the Boca Beach Club, A Waldorf Astoria Resort and Boca Raton Resort and Club - A Waldorf Astoria Resort. The Hampton Inn & Suites Boynton Beach and Courtyard by Marriott Boynton Beach are located in Boynton Beach, while The Seagate Hotel & Spa and Delray Beach Marriott are part of the Delray Beach area. The Residence Inn by Marriott West Palm Beach as well as the Homewood Suites West Palm Beach are within a short walk from the Rapids Water Park, while the The Breakers Palm Beach and Colony Hotel Palm Beach are located close to the CityPlace. The Henry Morrison Flagler Museum, another important Palm Beach - West Palm Beach attraction, is close to the The Brazilian Court Hotel well as the The Chesterfield Palm Beach. Hotels close to the Palm Beach Zoo at Dreher Park include the Hilton Palm Beach Airport and the Embassy Suites by Hilton West Palm Beach Central. Palm Beach International Airport is a nearby airport for flying in and out of Palm Beach - West Palm Beach. It is 5 kilometres (3 miles) away. If you plan to stay nearby, try the Grandview Gardens Bed & Breakfast or Hyatt Place West Palm Beach/Downtown. What are the most popular Palm Beach - West Palm Beach hotels? Are there hotels in other cities near Palm Beach - West Palm Beach? 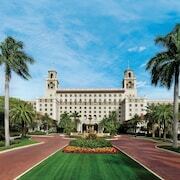 What other types of accommodations are available in Palm Beach - West Palm Beach? Explore Palm Beach - West Palm Beach with Expedia.ca’s Travel Guides to find the best flights, cars, holiday packages and more!